Gives a lift to the performance of your favorite Arbonne Skincare products through improved application. Gentle waves help push the product onto the outer layers of the skin, getting into the ridges and ultimately maximizing your skincare for faster results. That's all you need with the Genius Ultra. While it may not be visible to the naked eye, the surface of our skin is uneven — with ridges that can only be seen under a microscope. This high-tech tool makes your skincare products work smarter by helping to apply the product more evenly than with your fingertips. All in a matter of minutes. Use the Genius Ultra with many of your favorite skincare products to maximize application with ultrasound waves. The Genius Ultra cannot be used with SPF formulas, acne formulas or any rinse-off product. Improve your skincare regimen with the Genius Ultra. Cleaning the Genius Ultra is simple but critical in maintaining optimal performance, so find out how to properly care for the tool and maximize your daily skincare regimen. A: The Genius Ultra utilizes gentle ultrasound technology to support the application of Arbonne skincare products, for superior anti-aging results when compared with using product alone. The surface of the skin is uneven, with ridges on these outer layers that can only be seen under a microscope. When a skincare product is applied using fingertips, the product is unevenly applied due to these surface ridges. Gentle sound waves help push the skincare product onto the outer layers of skin evenly, getting into the ridges to help maximize the performance of your skincare sooner rather than later. Utilizes low levels of ultrasound energy and includes an automatic shutoff after one minute of use. Three warmth levels, along with gentle vibration, allow for personalization and comfort. A: With our primary focus on safety and efficacy, we chose to use low-level ultrasound as the technological foundation for the Genius Ultra. When used as directed, the Genius Ultra has been tested to be safe and effective through third-party clinical studies. Low-level ultrasound technology, internal automatic shutoff, and temperature controls built into the Genius Ultra help ensure safe operation. The gentle waves from the Genius Ultra dynamically improve the application of skincare products onto the outer layers of skin. A: Developed with proprietary, patent-pending, cutting-edge technology, it offers the ultimate next-generation solution to help target the signs of aging. When combined with our anti-aging clinically tested skincare products,* like the RE9 Advanced® Intensive Renewal Serum, Lifting and Contouring Eye Cream, and Arbonne Intelligence® Lip Treatment, it helps apply the product more evenly for youthful-looking, radiant, healthy-looking skin. This represents a significant incremental business opportunity that works synergistically with select Arbonne skincare products as an amazing additional offer to build a better-rounded and effective daily skincare regimen. Q: What is the patent pending on? A: As a general rule, we recommend using the Genius Ultra whenever you would normally apply the Arbonne skincare product. However, different anti-aging products will have different reactions with your skin when product is more evenly and consistently applied to skin. It could vary by product type and location used on the face. When using any new Arbonne skincare products with the Genius Ultra, start with once a day for one minute per area to determine your skin’s reaction. If your skin tolerates the increased absorption of the new product with no negative side effects, you may increase your usage. Before the first use, test the Arbonne skincare product you will be using along with the Genius Ultra on the inside of the forearm. Wait 24 hours to check for any sensitive skin reaction. If any reaction occurs, discontinue use. Q: Where in the skincare regimen do we recommend using the Genius Ultra? A: We recommend using the Genius Ultra after you apply your serum and eye cream. Incorporating Genius Ultra into your skincare regimen is recommended at a minimum of once per day, but can be used as much as your skincare routine allows for. A: The known risks would be irritation or over-sensitization of that area of the face, neck or chest. Different anti-aging products will have different interactions with your skin when product is more evenly and consistently applied to skin. This could vary by product type and location used on the face or neck. A: You may prefer to use the Genius Ultra in 30-second increments instead of the full minute if you experience skin sensitivity when you first begin use. The vibration you feel when holding the Genius Ultra stops very briefly at 30 seconds to let you know that this time interval has passed. If you experience irritation or discomfort, please stop use and consult a medical professional. A: The Genius Ultra can be used with any Arbonne skin care products with the exception of those containing sunscreen or acne formulas. Do not use the Genius Ultra in combination with over-the-counter drugs, including, but not limited to, acne medications such as benzoyl peroxide or salicylic acid, sunscreens or skincare products containing avobenzone, homosalate, octinoxate, octocrylene, octisalate, oxybenzone, benzophenone-3 or zinc oxide. Before the first use, test the Arbonne skincare product you will be using along with the Genius Ultra on the inside of the forearm. Wait 24 hours to check for any sensitive skin reaction. If any reaction occurs, discontinue use. A: Yes, the Genius Ultra can be used in conjunction with topical retinoid products, including the Genius Pads. We advise that you conduct a patch test on the inside of the forearm before using the Genius Pads and Ultra on your face. For best results, we recommend using the pads and then apply serum with the support of the Genius Ultra. A: Using the Genius Ultra with these types of topical skin care products increases the risk of skin irritation. 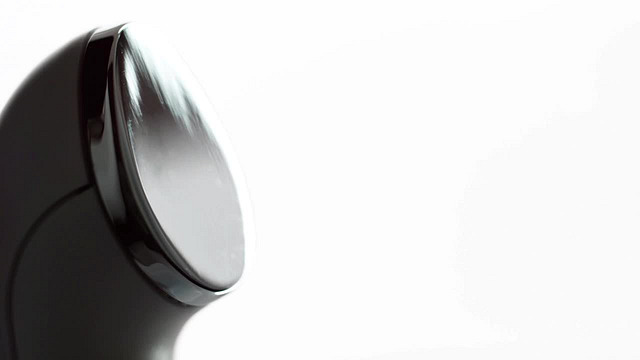 A: Underneath the polished tip of the Genius Ultra is a ceramic disc. This disc utilizes the “piezoelectric effect” to convert electrical input to vibrations at an ultrasound frequency. Q: Why does the Genius Ultra have a warming tip? A: The warming tip has been designed for personalization of your Arbonne skincare regimen along with soothing comfort. The ultrasound technology along with the warming tip work together to help you apply Arbonne skincare products more effectively onto the uneven ridges of the skin, with the addition of soothing warmth for a "spa-like" experience. There are three warmth settings, designed to allow you to personalize your skincare regimen. Q: Should the Genius Ultra be turned on to “warm-up” before use? Q: What does the Genius Ultra feel like? Q: Is the Genius Ultra a medical device? A: Medical ultrasound typically utilizes frequencies in the 2 MHz to 10 MHz range; that is 2 million to 10 million waves per second. Ultrasound frequencies used for fetal imaging are typically about ten times higher than the Genius Ultra. But the more important distinction in terms of safety between fetal imaging and the Ultra is not the ultrasound frequency, but the ultrasound intensity (the ultrasound power per unit area). Therapeutic ultrasound machines, and even fetal imaging devices, typically have much higher ultrasound intensity than the Genius Ultra. For our application of ultrasound with Arbonne skincare topicals, very low ultrasound intensity is used. A: Arbonne Intelligence® Genius and RE9 Advanced® products have been clinically tested to significantly improve the appearance of aging skin, with clinical tests, showing an improvement in the appearance of fine lines, wrinkles, skin texture and skin tone. When used in combination with your Arbonne skincare regimen, Genius Ultra, along with Arbonne topical skincare products such as RE9 and Intelligence produce the most significant, visible results. The skincare products deliver targeted benefits beyond hydration, including brightening, toning and radiance. The Genius Ultra utilizes ultrasound technology to support the application of Arbonne skincare products, for superior anti-aging results when compared with using product alone. A: Results from the use of any skincare topical products are cosmetic. Results continue to improve with consistent product use over time, but are not permanent. Consistently incorporating the Genius Ultra into your daily Arbonne skincare regimen will support the appearance of healthier-looking, younger-looking skin that can improve skin’s appearance over time. To enjoy use of the Genius Ultra, we recommend you use it for at least 30 days. This will allow you to find the most personalized and comfortable way to adapt the Genius Ultra into your skincare regimen. If, after that you are not satisfied, we will replace or fully refund your purchase within 45 days from the purchase date. A 45-day money-back guarantee is offered on all Arbonne products to Clients (including Preferred Clients). Clients not completely satisfied may return the purchased products to their Arbonne Independent Consultant for a replacement or full refund within 45 days from the Client purchase date. A signed and fully completed Product Return Form must accompany a product return. Shipping fees are non-refundable. Please allow 4–6 weeks for processing. Promotional products and gift items may not be available for replacement, and may, at Arbonne’s discretion, be exchanged for an item of equal value. The product guarantee applies only to Clients who order from an Arbonne Independent Consultant, an Arbonne Replicated Website, or directly from Arbonne using an Arbonne ID. Q: How do I sanitize the Genius Ultra? A: Use an alcohol wipe, if needed, to sanitize the tip of the Genius Ultra. If you are demonstrating the Genius Ultra for a group, that same alcohol wipe can be used to clean any residual product from the Genius Ultra after the tip has been wiped clean. A: You can allow it to get splashed with water but it cannot be submerged and should not be held under running water. Care should be taken to avoid exposing the Genius Ultra to spills from any liquid, including but not limited to beverages, cosmetics or personal care products. Q: How often will I have to replace it? A: The Arbonne logo with will glow on and off continuously when the battery is running low and requires charging. A: The Genius Ultra has an internal rechargeable battery. The length of time between charges will vary, but a full charge should last for approximately 3 hours of continuous use. As an example, if you use the Ultra for five or six minutes per day, the Genius Ultra should require charging only about once per month. It will take approximately 5-6 hours to fully charge once the low-battery indicator light begins to blink; and approximately 7-8 hours to fully charge the Genius Ultra if the battery is completely depleted. A: The battery in the Genius Ultra is not removable. It is designed to be recharged, not replaced. Q: Is the lithium battery safe to take on a plane in checked or carry-on luggage? A: Yes, you can pack your Genius Ultra in carry-on or checked luggage. The battery inside the Genius Ultra has a UN38.3 certificate, which makes it safe to fly. Q: Can the Genius Ultra be used with a partial charge? A: Yes, the Genius Ultra can be used with a partial charge. The Arbonne logo will blink to indicate when the battery power level is getting low and needs to be charged.